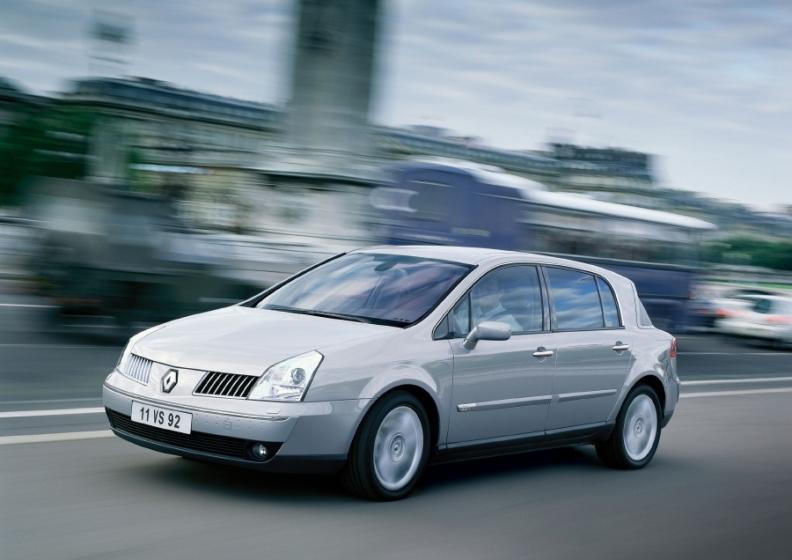 Renault tried to move upscale with the Vel Satis, shown, a car developed to rival German premium brands. The company hoped to achieve annual sales of 50,000 for the Vel Satis, but only 62,000 were built between 2002 and 2009. Renault may launch its upscale Initiale Paris subbrand in two phases, Chief Operating Officer Carlos Tavares said. The first phase would see the French automaker adding premium content to its volume models and tweaking their design to sell them under the new subbrand. French rival Citroen does something similar with its upscale DS range. In the second phase, Renault would develop specific Initiale Paris models to make it a stand-alone brand, just as alliance partner Nissan did with its Infiniti luxury marque. "We plan to start with something that will be similar to Citroen's DS series that will eventually become something like Infiniti at Nissan," Tavares told Automotive News Europe in an interview. Tavares said Infiniti started in 1989 in the United States with rebadged cars from Nissan and by offering outstanding service in the dealers. "Nissan needed 25 years to take Infiniti where it is today. Initiale Paris is not something that could be completed in the next two years," he said. Renault currently uses Initiale Paris as a label for higher-spec versions of some of its volume models, but the label is not widely known. Even some Renault employees have not heard of the label, Tavares said. Cars that are currently sold with the Initiale Paris label are well executed, but not always very consistent, he said. For example, the Initiale Paris version of the Clio subcompact doesn't seem very special, while the Scenic minivan and Latitude sedan versions are better. Tavares outlined how he sees an Initiale Paris subbrand becoming a full brand. "The first thing is to clarify what kind of modern luxury you want to express through Initiale Paris versions. Next you align all the new models and versions in that direction and you create strong, specific cars for Initiale Paris," Tavares said. The subbrand will become a stand-alone brand when is seen as a strong and visible and is appreciated by customers, he said. Renault is working hard to ensure that Initial Paris versions of its mid-sized and large cars will be outstanding. "Five years down the road we will look at the five or six Initiale Paris versions and we'll try to answer these questions: Are these cars premium? Are they all aligned with the same flavor of premium-ness? Can we imagine that one day these cars will be called Initiale Paris and not Renaults? If the answer is yes, then perhaps one day we will have our own Infiniti brand within Renault group," Tavares said. Analysts said Renault's plan would boost the automaker's lackluster image. Gaetan Toulemonde, from Deutsche Bank, said an upscale brand would help Renault in Europe by giving it a more exciting image, which is the automaker's weak point. "Tavares knows something about the luxury car division from his former job as head of Nissan in North America," he said. Ian Fletcher, an analyst for IHS Automotive, said Citroen has shown with its DS line how to boost profit margins. Citroen builds DS cars with upscale features on existing platforms. For example the DS3 is based on the C3 subcompact. "DS customers are adding thousands of euros worth of extras onto their cars, so the margins start to widen significantly," Fletcher said. "Renault can do that by using existing technology to add a couple of thousands of euros worth of value to different models." Renault will decide on how to expand the Initiale Paris label into a subbrand by the end of the year. The automaker will also decide at the same time whether to use Mercedes-Benz underpinnings for a new sedan. "We are working on a rear-wheel-drive large-car project. It is not decided yet and it is still in the preliminary stages," Tavares said. Using Mercedes technology for luxury cars would expand Renault's alliance with Mercedes parent Daimler that currently covers joint development and production of small cars and engines. The next Renault Twingo minicar and Smart cars are being developed jointly.